1. 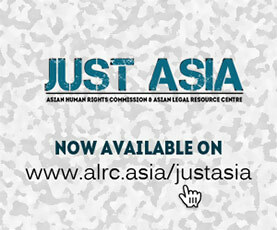 The Asian Legal Resource Centre (ALRC) would like to draw the UN Human Rights Council’s attention to the rise in violence against women in Pakistan. According to a Thomson Reuters Foundation poll, Pakistan is the third most dangerous country for women after Afghanistan and Congo. The poll report has cited cultural, tribal, and religious practices that are harmful to women in Pakistan, as well as acid attacks, child and forced marriage, and punishment or retribution by stoning or other physical abuse as reasons for the ranking. The Report also states that 90% of women in Pakistan face domestic violence. Though the country is witnessing a surge in legislation meant to uplift the social and economic state of women, mere promulgation of law is not enough. In a country where the literacy rate is dismal as per UNESCO’s Report titled “eAtlas of gender inequality in education”, almost 16 million girls between the ages of 6 and 11 are currently out of school, expecting the status of women to be elevated just by promulgation of law is wishful thinking.